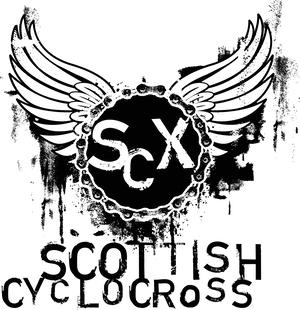 Scottish Cyclocross Association: Two exciting announcements for Scottish Cyclocross! We're proud to announce that The Tri Centre are onboard as title sponsors and we are now The Tri Centre Scottish Cyclocross Series! The Tri Centre is Scotland's only dedicated Triathlon shop and have been long-term supporters of Scottish Cyclocross - organising rounds of the series at Meadowmill in East Lothian and last year very generously provided a Ridley Crossbow cyclocross bike as top prize in our season long prize draw competition. Based in Edinburgh's Newington, the shop can be found at 57-59 South Clerk Street and they stock a range of leading brands of bikes, clothing and accessories. You can find a map and contact details here and you can also shop online with them to. Look out for The Tri Centre at all rounds of the The Tri Centre Scottish Cyclocross Series in 2011. They'll be there to provide race support - including essential supplies and help with free basic maintenance if you're stuck on race day. We're also very pleased to announce that leading online cycling magazine VeloUK are going to be our media partners this year, making sure that the widest possible audience gets to hear about the fantastic The Tri Centre Scottish Cyclocross Series. VeloUK has quickly established itself as the UK's leading online magazine covering cycle racing - check out the site regularly for all the latest on road, track and cyclocross. Vive le SCX! Oooh, can't wait for the start of the season. Well done to the SCX crew. youza, great to have these guys on board. times ticking on.